Forward Extensions bring length to the spine, open the hips and remove fatigue. They tone the nervous system and quiet the brain, helping to soothe both the body and mind. In this workshop we will work on standing forward bends, sitting poses and forward extensions from the floor. Heather will focus on phases and stages of these important poses, as well as movements of the hips and knees in order to make forward extensions more accessible and pleasant. We will also cover how to work with forward extensions in your home practice. Come discover how to bring the quiet back brain into your practice of these rich, calming asanas. This workshop is open to students with minimum of 6 months study of Iyengar Yoga. It is an important workshop for students who want to step it up or deepen their practice. Cancellations prior to April 26th will be refunded minus a $15 admin fee; No refunds after April 26th unless a replacement is provided. In this three hour workshop you’ll learn how working with wall ropes enhances arm stretches, standing poses, forward extension, seated postures, backbends, and inversions. Working with ropes gives therapeutic symmetry and alignment which can be difficult to achieve on our own and will also help us better understand how to work in the poses to create space in the body. 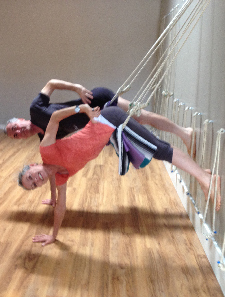 Use of rope walls has always been part of the Iyengar system and is found in many Iyengar studios around the world. Ropes can also be used to stretch and strengthen very specific areas of the body. In standing poses, rope work assists in dispersing the body’s weight from the lumbar area. This class is suited to anyone with one year of yoga experience and will be limited to 20 students. 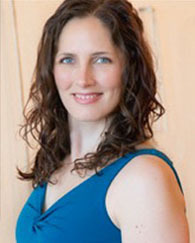 Yvonne Shanks has been a practitioner of yoga since 1995, and been teaching at the Yoga Solution since 2005. She has successfully completed a 3 year teacher training with senior Iyengar teachers Gloria Goldberg and Manouso Manos in 2012 and passed the Iyengar Intro Level I in 2013. 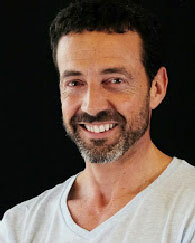 Gary Vercelli has studied and practiced Iyengar yoga since 1992. He was certified by the IYNAUS at the Intro 2 level in 2003. Gary has studied with Geeta Iyengar in Pune, India and with B.K.S. Iyengar in Estes Park, CO. (10/05). Cancellations prior to May 27th will be refunded minus a $15 admin fee; No refunds after May 27th unless a replacement can be found. “The Essence of Practice”During this 5-month course of study, students will explore the 8 limbs of yoga as presented in the Yoga Sutras of Patanjali. Particular attention will be placed on helping each person to develop the values and skills required to deepen in the practice. This involves practical applications of asana, pranayama, meditation and their philosophical underpinnings. Students and teachers from all yogic traditions will benefit from the opportunity to dedicate an extended and focused period of time to discover for themselves the value of yoga as a complete system of practice and living. All participants will commit to working together in a way that embodies the practice values needed to sustain a sincere, committed, open-minded inquiry in a supportive and compassionate environment. Students of all levels are welcome to each of these workshops except where indicated!